The brief was to tear down the walls and reconfigure the space in this loft apartment housed in a former butter factory in West Melbourne, Victoria. 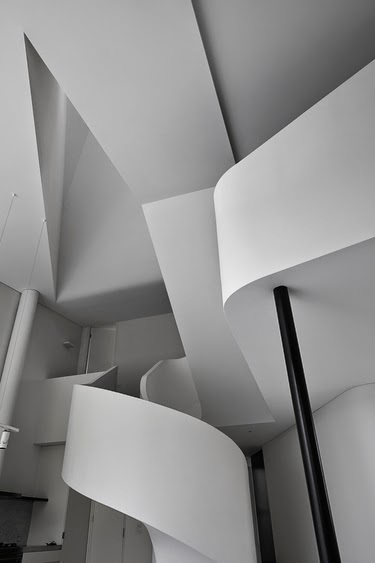 But architect Adrian Amore went one step further in transforming this apartment: He created a dynamic interplay of planes and curves where walls once stood. 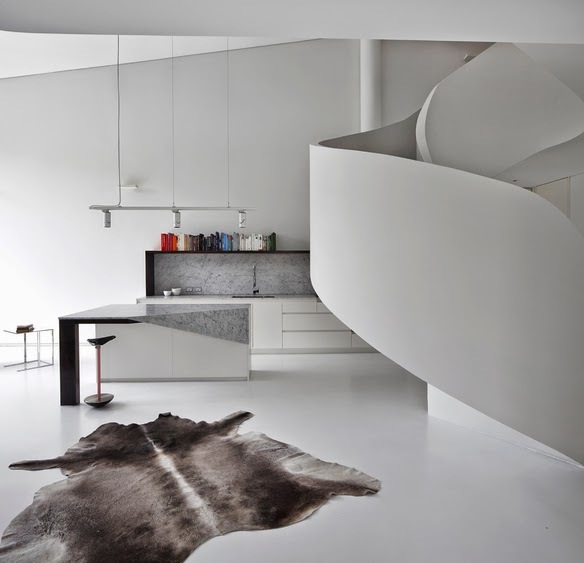 The result is a beautiful sculptural installation that is also effortlessly liveable and so serene that it easily scooped the Premier Award prize at the recent Australian Interior Design Awards for 2014 announced in Sydney last week. 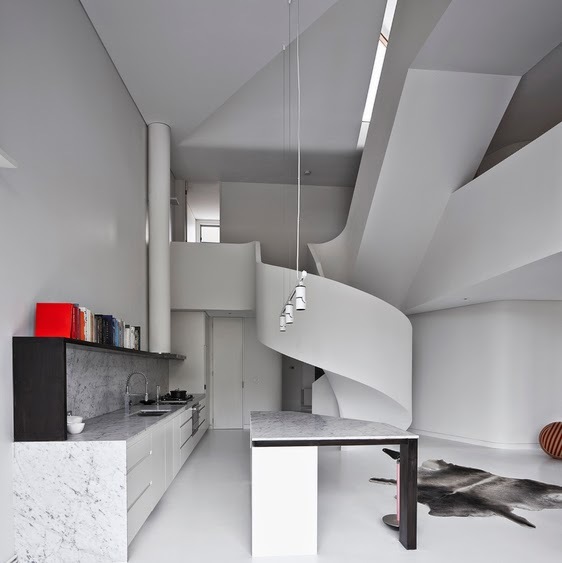 A swirling staircase takes centre stage, soaring up toward a recreational roof terrace which overlooks the city. 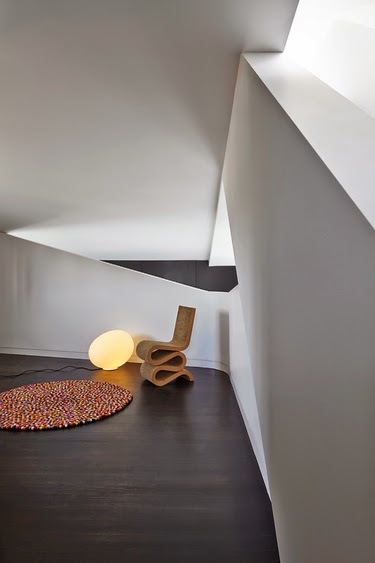 A soft monochrome palette predominates, although walls are mostly white, with punches of colour in the furnishings. No wonder this modern master was a standout. Photography by Fraser Marsden.